Birth is an unpredictable, epic event, encompassing the body, mind and spirit. It Starts with Birth (ISWB) honors pregnancy, birth and early parenting as a spiritual journey. Inspiring confidence, while guiding families and individuals to follow their intuition, It Starts with Birth focuses on letting go of expectations and preconditioned ideas of what birth should be; producing more positive birth experiences regardless of birth-setting or circumstance. Focusing on your inner wisdom, discover the confidence and power within; evolve! 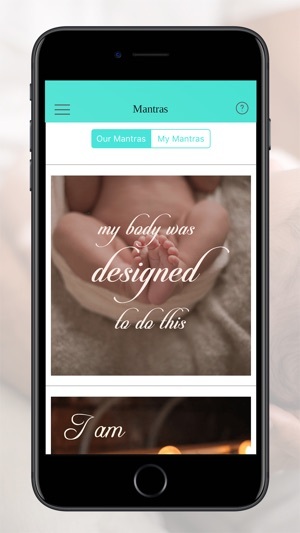 It Starts with Birth has created a beautiful, functional app to document your pregnancy and birth in each phase of your journey. 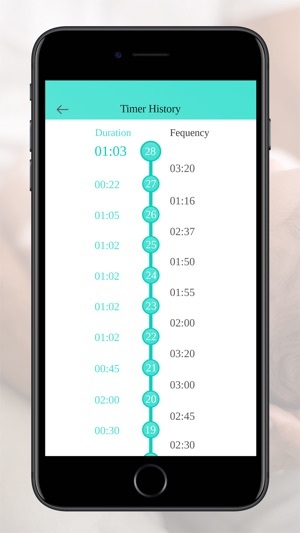 •	Contraction Timer – easy-to-use; includes a bonus option to share timer history with your doctor or midwife. 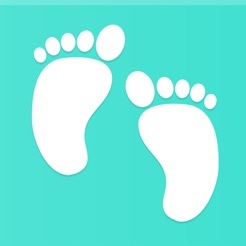 •	Kick Counts – both practical and a keepsake, document your baby’s movement from baby’s first kick; with daily reminders. •	My Story – take photos, journal, and document precious memories & milestones. The moment we are ALL waiting for: baby’s first flutters (and then jabs, and rolls! Movement is nature’s natural bonding between mother and baby. Features a daily check-in, and a place to add notes. All moms and babies are different, so don’t worry if you don’t perceive movement before 24 weeks, your care provider will be monitoring for normal heart sounds at your routine visits. With the simple tap of a button, feel confident in knowing when to call the midwife or doctor. Record your contraction’s frequency, duration, strength and intensity. For ease of mind, we provide the option of sharing your recorded contractions with your care providers. 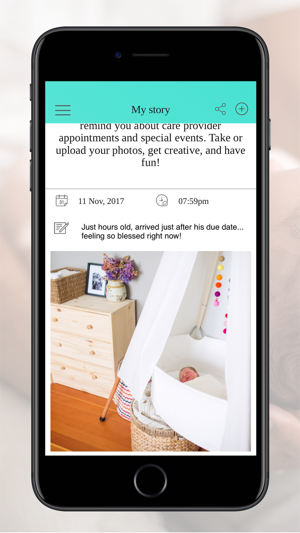 Record your pregnancy and birth: “My Story” is a place to journal, document milestones & photos, and record the ups and downs of becoming a mama! It is also a space to remind yourself about care provider appointments and special events. This app is awful. Too many glitches, force closes and other issues. Can’t even use it.